When most people ask “how to outline a novel,” what they’re really asking is “how to write a scene outline.” But here’s the thing: writing a good scene outline should be the last thing you do in your outlining process—which brings us to the ninth and final part in our two-month exploration of how to outline for NaNoWriMo (or any month) in a fun, fulfilling, and profitable way. Although every writer’s outlining process should be uniquely optimized to suit personal needs and inclinations, I hope you’ve seen by this point in the series how a good outline is far more about brainstorming your story than it is simply listing possible scenes. That’s why I’ve saved the scene outline for last. This isn’t because the scene outline is least important; rather, it’s because once you’ve done all your groundwork in discovering plot, theme, and characters, your scene outline will practically write itself. Still, there are several tricks you can use to get the most out of this final crucial step in your outline. You’ve been waiting for it a long time, and now here it is: how to write a scene outline! Figuring out how to write a scene outline is one of the most intuitive parts of the process. Unlike the freethinking non-chronology of the General Sketches, the scene outline will be mostly linear. You’ll start with Scene 1 and work your way through the story to the final scene. How in-depth your scene outline should be depends entirely on your needs. You may feel you now know enough about your story to simply jot off a quick one-line summary for each scene. If you’re like me, you’ll go a little deeper. I view my outlining process as a progression from big picture down to the finest details. Even though I already know my general plot by the end of the General Sketches, I now want to use the scene outline to discover the blow-by-blow of each scene. I tend to view my scene outline as almost a first draft in itself. It doesn’t contain dialogue or narrative-worthy prose. But it explores the progression and structure of each scene in as much detail as possible—which then allows me the freedom in the real first draft to focus on crafting the narrative itself and bringing the story and characters to life. Obviously, I do all this work in the scene outline because I feel it’s helpful (irreplaceably so for me), but you shouldn’t feel you have to dig this deep. Many authors prefer to dive right into crafting the narrative and then figure out the nitty-gritty of their scenes while actually writing them. And now, here are six steps for how to write a scene outline that will help you write your best first draft. Good question. There is no hard and fast answer, since the truth is you don’t know how long the book will be. Most of the time, once the first draft is finished, you’ll need to go back and tweak the fat and lean sections to find the optimal pacing. However, you can anticipate the proper timing to a large degree, simply by determining how many scenes you’d like the book to end up being. The actual number of scenes will depend on your genre, your target word count, and your tendency to write short or long scenes. My books always end up longer than my target goal, so I estimate on the short side. If you’re shooting for scenes/chapters of around 2,500 words in length and books of around 100,000, that means you’ll need to include around 40 scenes. From there, divide your number of scenes by 8 to calculate how many scenes will exist between each of your major structural moments (Inciting Event, First Plot Point, First Pinch Point, Midpoint, Second Pinch Point, Third Plot Point, Climax). If you are indeed shooting for 40 total scenes, you’ll end up with 5 scenes per structural section. 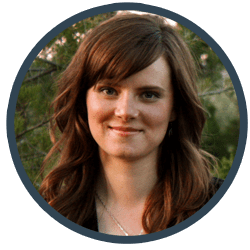 From there, you can start calculating how best to include, combine, expand, and portray the events that need to happen in each section of your story—including the structural beats themselves. You can use this as a guide to figure out how to write a scene outline that is optimally structured. Make things easy for yourself. Include as many pertinent labels for each scene in your outline as possible. As you dig deeper into the scene outline, and later as you use it to write your first draft, you’ll find it’s easy to get lost in all the information. Give yourself road marks. The number of the scene within the overall outline. The name and/or brief summary of the scene. The date of the scene within the story. The character whose POV (point of view) will be used. The setting(s) in which the scene will take place. I take this a little further and save images of costumes, settings, and props to the story’s image folder on my computer, so I won’t have to go digging for inspiration in the midst of the actual draft. I collect all the pertinent images I think I’ll need during the scene outline, so I don’t have to go looking when writing the first draft. As of my current outline for Dreambreaker, I’m using Perry Elisabeth Design’s wonderful WriteMind planner, which offers extremely handy “Scene” inserts that help me record all this info at the beginning of each scene in my outline. Part of figuring out how to write a scene outline is having the right organizational tools. Scene dividers are useful, even if you just write them out by hand. Why was he in that back alley in the first place? What scene goal led him there? How will the obstacles of the scene directly impact his scene goal? How will the events of these scene lead him into the following scene? The story opens with Jael’s fall from the sky. Hitch is flying along, when—whammo!—his plane gets smacked by a woman. So first question—what’s he doing out there? The troupe is going to need two planes to transport everybody, and I want Hitch to be alone in the scene, so they’ve presumably already arrived in Scottsbluff. It’s nighttime. Hitch is off for a solo flight (with his dog). He’s doing it partially for enjoyment, partially to scout out likely areas for the show, but mostly to reacquaint himself with his home area. He flies over the Hitchcock farm, etc. But all that can be told briefly, just enough to present his mindset and offer a little hook regarding his rocky return. I think we’ll start the very first sentence with Jael’s dropping in. He’s shocked, of course, but also reactive. Don’t forget you can download the complete transcript of one my outlines, for more examples. You should be thinking about your scene’s structure throughout the previous step. Whenever you find yourself at a loss for what your character should be doing or why, focus on his scene goal. What does he want in this scene? Why is he pursuing it and how? Then examine the obstacles getting in his way and preventing him from just waltzing over there and grabbing his goal, no problemo. This is where you find your scene conflict. How will that conflict be resolved? What will be the outcome of this little episode within the overall story? Scenes should always end with consequential loose ends. Even if the scene doesn’t end in outright disaster with the character’s scene goal being thwarted, it should still end with a “yes, but…” Perhaps he gained what he wanted in this scene, but now what? What unforeseen negative or complicating consequences are going to arise that will carry him into the next scene? You must then consider the character’s reaction to the complications of the conflict’s outcome. What does he feel in response to what’s just happened? What does he rationally think about the new dilemma that has been introduced into his life? What decision will he reach about that dilemma that will lead him right into the next scene’s goal? You can see how all six of these elements of good scene structure are integrally connecting. None are random. They all roll one right into the other. After you’ve worked through all six parts of your scene, grab a note card and write them all down, both to make sure you’ve checked all six off your list and to give yourself a handy guide for referencing them later. What’s the most important part of figuring out how to write your scene outline? I vote for the scene-structure card. As with every part of the outlining process, the scene outline is going to have you doing a lot of thinking out loud on the page (whether in a notebook or on the computer). Although all of those thoughts are necessary, not all of them are pertinent enough to be recorded in your “official” outline. You don’t want to have to wade through all your “what-iffings” in order to reference the actual decisions you’ve made about a scene. If an idea is a “keeper,” highlight it in blue. If an idea is unfinished or raises a question you need to work through later, highlight it in green. If an idea isn’t necessarily pertinent to the current scene, but will be important as you outline later scenes, highlight it in yellow. If an idea isn’t necessarily pertinent to the current scene, but is just general information you need to save, highlight it in orange. If an idea ends up being in the wrong place in your outline (e.g., you added something to an earlier scene), highlight it in pink and use directional arrows to indicate whether it needs to be moved earlier or later in the outline. Figure out a color-coded highlighting system that will help you organize your notes for easy reference. At the end of each day’s outlining session, take a few minutes to go back over your notes while they’re fresh in your mind, so you can highlight them appropriately for future reference. If you’re writing in a notebook, you can use the color-coding to guide you when you transcribe your notes onto the computer (into Scrivener, if you’re like me). 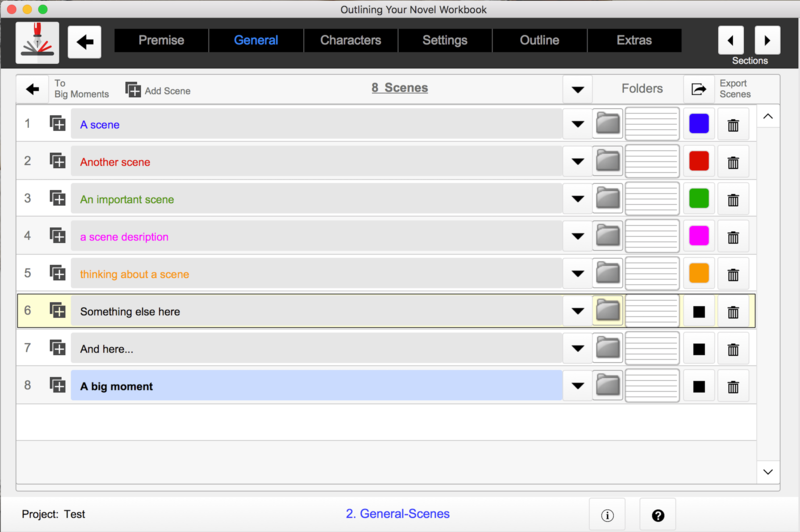 Or use the color-coded scene-listing system in the Outlining Your Novel Workbook software. How do you know when you’ve reached the end of your scene outline? Easy! You add that last scene and write THE END—and then you get ready to start that amazing first draft. The End! This is my completed scene outline from my historical superhero WIP Wayfarer. My outlining process is very much about identifying a story’s big picture, then digging down to figure out how to best put the pieces together to achieve the desired effect. It’s a process of discovery. It’s a no-pressure process—you get to play in your story with no worries about getting your prose right or making sure the protagonist is coming across as likable. It’s a process that will build you a solid foundation for when you’re ready to start adding the paint and furniture of the narrative, so you can then invite your readers in to sit down and enjoy the finished product. Like all of writing, outlining is work. It requires discipline, focus, and clear goals. It also requires you to pay attention to your own creative needs—what works for you and what doesn’t. Concentrate on finding and refining the process that works best for you and that gives you the best shot at your best story. That’s the power of the outline. Now, go forth and outline! Wordplayers, tell me your opinion! Have you ever struggled with how to write a scene outline? What is your preferred approach? Tell me in the comments! This is amazing. After skimming through this series(I will properly read it later). I had an epiphany. I realized that the reason my first draft failed was because I jumped straight to the scene outline after doing my character sketches. I always wondered why I was so frustrated with my outline despite its detail. I did all the brainstorming, I did the story structure for my novel, I even came up with the character arcs and the story arc. However, while writing the scene outline I am stuck! Any advice on how to get unstuck? I know what’s supposed to happen in each scene, but when it comes down to the who, what, when, where, and why I get stuck and my mind goes blank. The best example I can give you of what I am struggling with is that I know my character discovers something in the scene, but I don’t know how to transition to it. Try “dreamzoning.” Close your eyes and just totally get into the headspace of the scene. Watch it play out in your head like it’s a movie. Or, if that fails, start asking yourself logical questions about *why* you’re stuck. 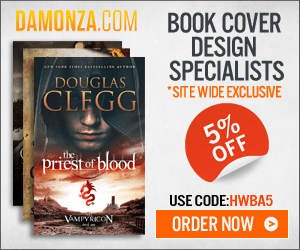 Do you know of any good tricks for estimating word count in a published book? I have a little technique I came up with but it is time consuming and I was wondering if there was any way already out there that’s easier. The best way is to count the words across one line in the book, then multiply by the number of lines on a page, then multiply by the number of pages. That will give you a ballpark figure. I’m really behind in this series. Yay, a scene outline. It won’t be long before I see the book on Goodreads. Hehehe. Love how you laid out the entire process here. One that we can tweak to suit our own creative needs. I also love how you use the note cards for scenes. I think I have a fascination with them already. Thank you for this post, Katie! The scene breakdown is something I’ve come across with regards to screenwriting: Chris Soth’s mini-movie method. Breaking your script down to 8 15-minute movies, each one a different part of the structure points. I like that approach too, as long as each episode remains part of a larger whole. You don’t want it becoming literally episodic. I use google docs for the highlighting, would I just transfer my “keeper ideas” into a blank google doc after I am done with the outlining and highlighting? Sorry I meant to say I use google docs for my scene outline. It’s really whatever works best for you. I’ve always been a “journaler” when it comes to brainstorming my way through a novel. Used to be, I’d tackle all of that on a scene by scene/chapter by chapter linear basis WHILE drafting the prose. Now I wish I could jump back 10 years and smack my 20 yr old self upside the head and say, get wise, girl, this scene outline thing is 110% hands down, the way to go before diving into a single word of the writing itself. ESPECIALLY when writing a series. I’ve been revising/editing/finalizing the final draft of the first novel in my series over the past year and a half, while casually working on the indepth scene outline on the sidelines when inspiration strikes, and I can’t tell you how INVALUABLE it has been to the process of book 1 to have things intricately planned for book 2, deepening my understanding of events, the arc of the series overall, and helping my nail down all of those details that might have been open throughout the series otherwise. My goal for this nano was to finally finish the outline, which I did a week ago, and I can honestly say that it’s the most liberated I’ve ever felt as a writer. I will never go back to my youthful pantsing ways. Hear, hear! I resonate so hard with everything you’re saying here. As for waiting in between outline and draft, my usual process is to move on to research for a couple months in between. However, if you don’t need to do much or any research, I’d just listen to your gut. Do you feel like you *need* a little break to re-calibrate your brain for the next step? If not, no reason not to just dive right in. Extremely helpful! I think the reason I’ve been unsuccessful with outlining in the past is that I’ve tried to do the “scene outline” way too early in the process. In retrospect, I was always going to fail in listing the individual scenes when I hadn’t worked out the big picture yet. For me, too, it makes the most sense to work from a big-picture shape down into the fine details. But I have struggled with finding the mental path from the big to the small. I’m often stuck in the place where the Big, Overall Shape is shot through with random details and ideas, but the details are not cohering, and there are too many blank spots. This is immensely helpful, really just exactly what I need. I think so too! I probably would have rejected outlines if I didn’t have so much aesthetic admiration for a beautifully arranged outline. Of course that was a big part of the problem, as it is impossible to take a brainstorm-phase idea and turn it into a beautiful outline. When you shared the Storming outline, it was a revelation, because I had always assumed plotters were working from the very beginning with something that looked like the type of outlines we used to prepare in law school. I should have realized this was impossible. I was so looking forward to this final installment of your NaNo series, and I wasn’t disappointed. You’ve inspired me yet again to take my time and really dig down deep into my story before running with it straight to the drafting process. It’s easy to get impatient, but your suggestions and methods are super inspiring for this organizational/planning nut. If I can learn to love the process and find joy in all the various stages of my messy brainstorming, I think I’ll be able to tame the impatient side of me that just wants to let that first draft loose already. 😉 Thanks for another great post! Thanks for an insightful series of posts! Well, I gotta admit, I should have started the series a month earlier. 😉 It’s a little late for this NaNo, but it’ll be there for next year’s prep! I always outline my major scenes first usually in Scrivener’s research folder. Those turn into first drafts, and make the minor scenes (where I’m weak) a little easier to figure out. This has been really helpful for me. Thank you so much! I’ve been working on Act II of my story during NaNoWriMo, but I’m almost thinking of it as a pre-draft. There are scenes that I have worked out in all their details, but I can see so many plot holes, and places where I’m being simply unoriginal. I think when I’m done, I’m going to write out the good ideas on paper, write out the problems, and figure out how to fix them. I’ll be following your outlining help in this series. Thanks again for doing it! Hey Katie, I liked this line from your post the best: “I tend to view my scene outline as almost a first draft in itself.” I recently did a very extensive outline for my current WIP and sometimes I felt like I was wasting my time. I know this isn’t rational because all this planning really helped me get a handle on the structure for this book and I really like the idea of thinking of it as a sort of first draft. Good info here. It’s important to remember that a scene needs its own goal-conflict-resolution. And you’re right that if you’re outline is done the right way, the scene will practically write themselves. That’s the beauty of scene structure. Once you understand how it works, each scene just flows into the next one. Half your plotting problems already solved! This is very helpful for me. Personally I stopped the outline of my first book (I’m writing the first draft) before outlining the scenes. I created a table with the major plot points of my novel and the indication of their relative position in the novel, in percentage and in number of words. My total word number at the beginning was 100000, and starting the first draft I noticed it is good for my novel, so I don’t changed it. Now I have to create all of the scenes while writing the first draft, but with the information found in the outline process I think I can go on this way with no problem at all. Having a library with all the images necessary for the novel is a good idea, it will be a must for my next novel, which is set in the past. Maybe the most helpful thing all writers have to remember is what you said in the last paragraph of this post. So you are teaching us the tools and the way to use them too! Thanks a lot for your work! As you can see, I definitely like to create a scene outline prior to the first draft. But there’s no reason you can’t use the info you uncovered in the earlier sections of the outline to just go ahead and write the draft, scene by scene, as well. It’s a little trickier, but saves time. With the next novel I will use the right method because of the historical nature of the novel itself. This time I decided to go on without a scene list because the first draft is relatively simple to do with the infos obtained, and this situation really saves time. In other cases it is good go to do the scene list, don’t mind how much time it will need, because you’ll go ahead in the first draft. Ideal processes really do vary from story to story. Every new project has its own demands. Ms. Weiland, do you have articles on how to apply your lessons to short stories? (in the process of outlining my first now) I don’t think outlining or structuring is a problem, but I’m not sure how I’m supposed to cram a character arc into 4000-5000 words. I’m afraid not. I don’t really write short stories any longer myself. Short stories can be a bit of a wild card when it comes to structure. It all depends on what kind of story it is. Some short stories follow the classic three-act structure to the T–just on a much smaller scale. But then we also have short stories that are more vignettes–snapshots, moments. And they’re all about a single plot point at the end. The drama rises to that point, and then the story is over. For short stories, I highly recommend Joe Bunting’s Let’s Write a Short Story. Thank you so much for this, especially the pointer to the author planner by Perry Elisabeth Design. I’m driving myself crazy adding, revising & reordering scenes in my current draft – this looks like a solution! I’ve also worked with Writer’s Blocks for those random thoughts you know you need to add in scene 45 while you are working on scene 7. Plus, I also use notecards! You are inspiring me to consolidate and do more planning, though I resist, resist, resist. I’ve also begun using SimpleMind mind mapping for overall organization of m platform vs. writing life. As you can see, I found myself mired knee-high with lots of really important things to remember to do in all kinds of formats and spent some time getting myself in order. This post is a real gift! Congratulations on Storming being a finalist! A neat and instructive post. I know, I know – the importance of outlining. Logic, (and common sense and most authors) will have little trouble pointing out the endless advantages of proper outlining. Period. Thanks for the post, Katie! Thanks, Danie! The “my way or the highway” attitude that many writers have about outlining is, I think, ultimately destructive to the cause. It makes outlining sound like it can only be done in one very specific way, when nothing could be farther from the truth. As you’re discovering, outlining gets to be a highly personalized part of the process. I bought both Scrivener and Scrapple (on your recommendation) to use as my writing tools. I have also been researching on how to integrate both for purposes of outlining (again, partly based on your suggestions, template, etc.). 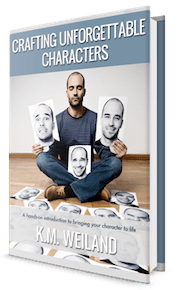 It seems a number of writers – including yourself – utilize the software to develop characters, scenes, etc. I am so excited about getting started with all of these wonderful tools at my disposal. However, I am a little confused about using both WriteMind – which I like as a visual by writing it down because it “imprints” in my mind more readily – as well as Scrivener and Scrapple. How do you (or would you) integrate all three in the outlining process without too much redundancy. Frankly, I don’t mind some redundancy since transferring from “analog” to digital reinforces the imprinting, as well as sparking a certain amount of additional creativity. Nevertheless, I am blessed (and cursed) with both a very strong right brain/left brain orientation. I sometimes get bogged down in trying to do too much. So maybe you understand my confusion? Admittedly, there *is* a little bit of redundancy in my approach, simply because I prefer to write my outlines longhand (in the WriteMind planner). This means I then have to take the extra step of transcribing my notes to Scrivener, but it’s very worth it to me. I then write my first drafts directly into Scrivener. Once again, I am floored by your advice! I have been steadily going through your outlining series (as well as having read Outlining your Novel) and even doing some of the steps as I’ve gone. So far, it has been amazing. I’m finding things that work for me and things that don’t. I will be moving onto this part of it soon, but this is the one part I’m not entirely sure on. It’s more about the organization. I’m struggling with how to do it since trying to guess the number of scenes seems to be problematic for me. My scenes tend to be fairly long and I tend to write longer manuscripts as a result so I feel trying to do the math doesn’t quite work out. I feel like it might be an issue if I have to add scenes. Do you have any advice? By the time you get to the scene outline, you should have a good idea what events will occur in each section of your story’s structure. From there, you can estimate how many scenes *you* want the book to be, then divide that number by eight (for section of the structure). Then take a look at the events you *know* you want to occur in each section and start dividing them into appropriate scenes, dividing, combining, and adding where necessary. I love your highlighting system because it’s pressure free. How would you suggest applying the non blue highlighted areas for those of us who don’t have the software and only use word processors? Word (and most other word processors) come with a highlighting feature. If the bright colors are too hard on your eyes, you can also just bold those sections.